In 1999, some of those who’d helped to establish Bridgemead formed a group: Friends of Bridgemead. The Friends’ aim is to raise funds to support Bridgemead through various events and activities. Friends of Bridgemead Membership is open to anybody. It’s run by an elected and enthusiastic committee who plan fundraising events throughout the year. 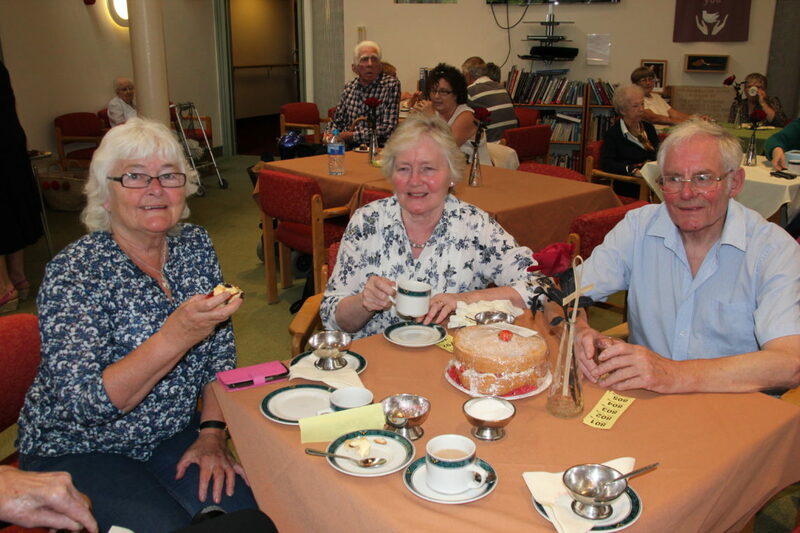 On Saturday 30th July the Friends held a Strawberry Tea for the residents, their families and friends. The event raised over £450. As well as tea there was a cake stall, cards for sale and Helen Schofield was making and selling her bead necklaces. The next event for the Friends will be the Christmas Fayre at Bridgemead on 3rd December at 2.30pm.